Players not selected to join any of the 15U, 16U or 18U Webster rosters, Webster has additional opportunities to play in the Empire League on a Webster 18U Midget team. Evaluations for the Webster Empire Teams will occur on Wed 4/24 & Thurs 4/25 and Information about the Schedule and the Evaluation Process can be found at: https://www.wyha.com/organization/empire-house-evaluations/424 . Travel $150 payments will automatically transfer and there are no additional fees to attend the Evals. 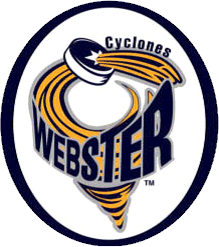 All 15U/16U players should check all Midget Rosters before assuming they have not been offered a spot on a Webster Team!